to see even a little part of this spectacular city. While my husband is busy in meetings, I'm going sightseeing. I've just got back from the Belvedere and literally had my jaws dropped looking at the infinite details of Gustav Klimt masterpiece, "The Kiss"
On the wall... there was this quote. I liked him even better. where I found these amazing silk scarves. that is an amazing piece of artwork! 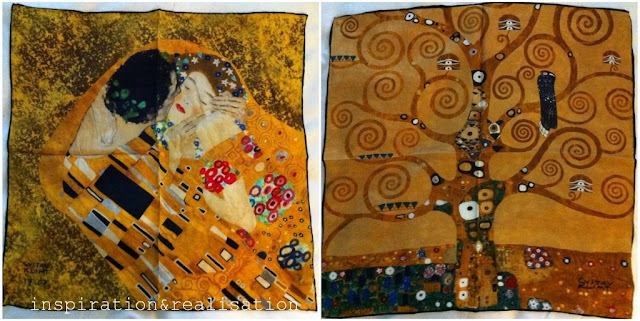 I like Jugendstil to beginn with; sitting on my bed, there's a print of Klimt pictures in my front and my back. I liked Vienna a lot. What do you think about Hundertwasser? I love the artwork and the scarves. The second scarf (tree) is really beautiful. 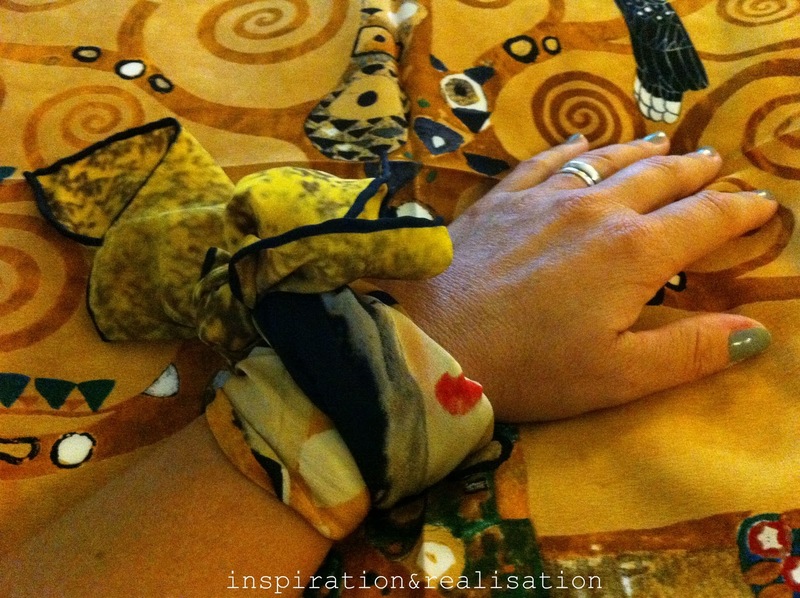 quest'anno secondo me i foulard sono protagonisti! I am so glad you had a wonderful time in my hometown and managed to take a lovely souvenir back home with you! Servus aus Wien! A stop at a museum shop is an utter necessity! I was not as lucky in Vienna. Only had one night during the layover.... Another reason to go back to Europe and see all those wonderful places I want to see! 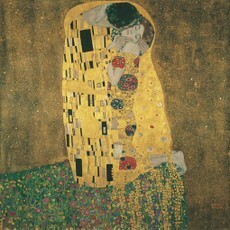 My husband and I spent one day there and we went to the Belvedere and got to see the Kiss, as well as more of his work. It was AMAZING there. Alas, only one day, but we spent a great 3 weeks in the Czech republic.LOVE your blog and I am now your newest follower! Klimt is my favorite painter i love his work so much, each détails and all his imagination and secrets of his painting!